“I took care of my kids! I put food on the table, put a roof over y’all’s heads, put clothes on yo’ back! I did the best that I could, and none of y’all can tell me different…” That’s what my mother yelled to us the day before Sarai’s funeral last July. It was an excited utterance, after she had spent five days in a trance, unable to do as much as eat a piece of toast. We were in the living room of our place at 616, me, Mom, Maurice, Yiscoc and Eri, being yelled at over a lifetime of disappointment and frustration. Ours and hers. Folks have been posting all week on Facebook and Twitter about their wonderful, loving and supportive mothers, practically requiring people like me to do the same. As if all mothers all alike. As if all mothers are either the best or the worse. As if a good mother should be put on a pedestal like a trophy or gold medal, and a bad mother to not be mentioned at all. After all, most of us prefer not to hear bad news. My mother was neither the best nor the worst mother in the world. She ultimately was and remains a contradiction of advice and action. She told us growing up never to depend on the government for handouts, but ended up on welfare from ’83 to ’99. She’d advise us to go to school and college, yet did almost nothing to help any of us get there. She’d complain about us not getting along as a family. Then call my younger siblings “Judah babies” and tell me that I was just like my alcoholic dad. I’d dealt with all of this, all of the awful decisions and refusals to make any decisions about family, her life, her marriage to Maurice, the abuse that I had to put up with. The intervention I did for my younger siblings, for me and for Mom back in January ’02 had in most respects put the issue of my mother’s mistakes to bed for the family. Or so I thought. 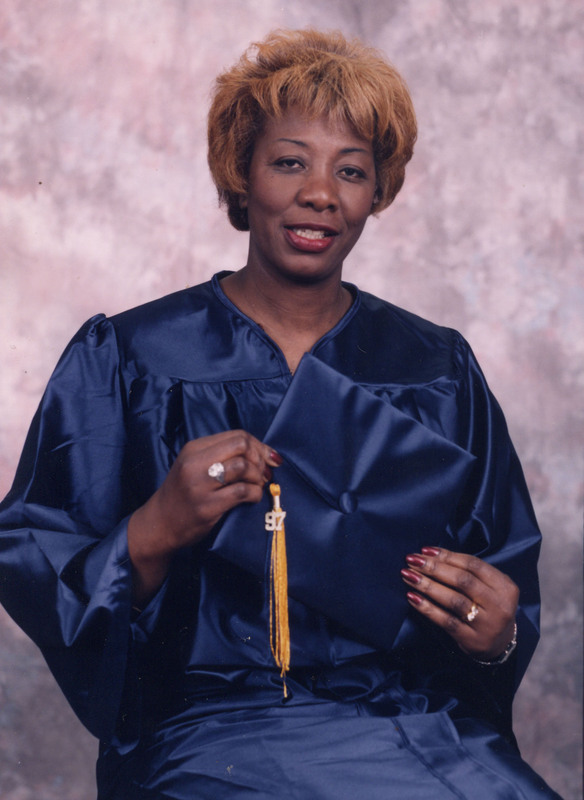 My Mother's Associate's Degree Photo, Westchester Business Institute, May 12, 1997. All of that came back to me as I listened to my mother yell at us from seemingly out of nowhere that terribly hot and sticky Friday, the sixteenth of July last summer. I stood, then sat, on the new yet cheap beige couch in the living room, sweating next to a barely working window fan. I watched Mom’s contorted face spew its sharpen words, like arrows raining down on us. I could only think, “Not good enough, Mom! Your best wasn’t good enough.” I didn’t say it. Because I’d already said it back in ’02. Her best hadn’t been good enough that week. Neither Sarai nor Mom had taken out life insurance, so it was either “ask Donald” or pass-the-hat time. Mom’s best hadn’t put food on the table one out of every three days between the end of ’81 and the middle of ’86. 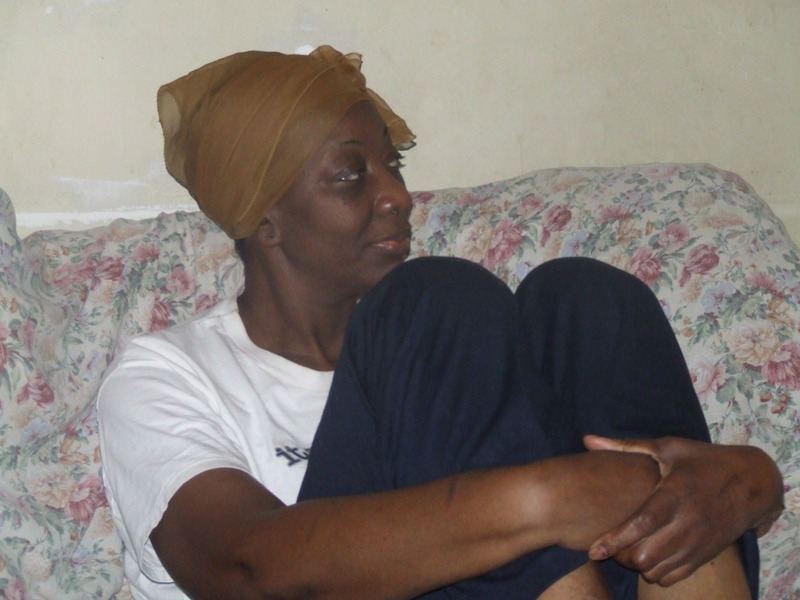 Her best left us behind in rent for nearly three years, had lost her a job with Mount Vernon Hospital, had led us to welfare. Doing the best that she could had made us Hebrew-Israelites and left us with an abusive, cheating Maurice/Judah as the alleged man of the house for most of the ’80s. Most importantly, Mom’s fatal flaw as a mother was her lack of love and support for us as we moved from baby to toddler, toddler to little kid, kid to preteen, teenager to adulthood. We were all one group of burdens dumped onto her by a God that used us as a test of her as a mother and person. Mom said as much, multiple times, over the ’80s and ’90s. I know that some of you will find this post offensive simply because I’m talking about my mother, the woman who gave birth to me. That’s just too bad. There’s a lot of gray between a great mother and a horrible one. My mother made a lifetime’s worth of bad decisions and path-of-least-resistance non-decisions that scarred me and my other siblings for life. I love my mother for all the good that she did and all the good that she did teach me growing up. But that doesn’t me I should gloss over her record as a mother, provider and worker, especially during my growing up years. It means that there’s a lot I don’t like about my mother, who she was and is, and things she didn’t do well or didn’t do at all. It means that she has a limited sense of the responsibility she had when giving birth to me and to my five other siblings. It also means that Mother’s Day for me remains very complicated. I’ve been buying my mother cards since ’84, and will continue to do so. And every year, finding the right card is hard, like looking for a good shoe for my nearly flat, quadruple-wide, size-fourteen feet. Still, I do the very best I can, because after all, she’s still my mother, and I love her with all of my heart.